It’s that time of year again and maybe you’re not the bride. 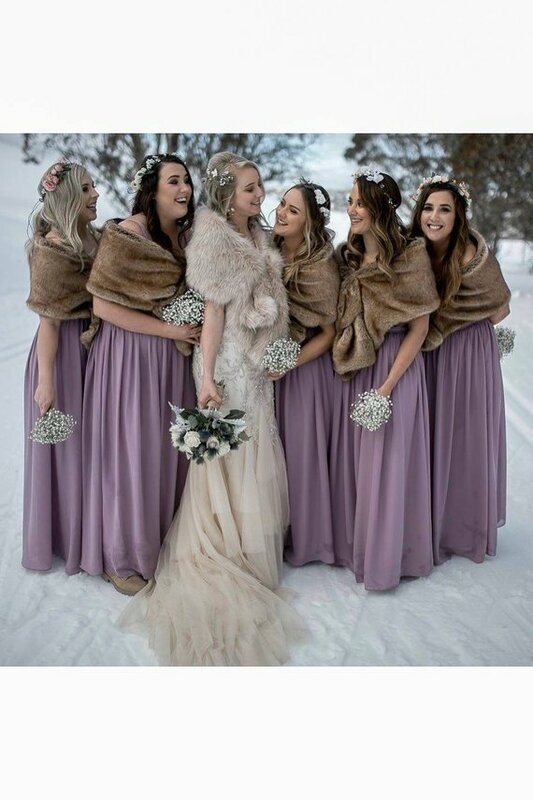 If you’re a guest what do you wear to a winter wedding? We’ve got some great choices. For the thrifty, we love taking a neutral summer/spring dress that can be paired with pantyhose or leggings and add a great jacket. The winter wedding will most likely take place inside so you can still be stylish without looking like a bundled up Yeti. Darker colors like Pine green or navy are perfect for winter weddings. This dress could be from your spring collection, but a great dark green hue is perfect for winter. You can add a cardigan if you think you’ll be cold or a light, sparkly jacket. 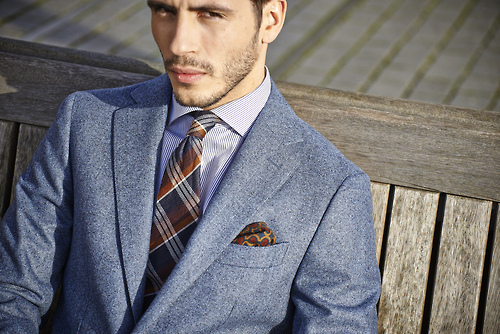 Cozy fabrics like plaid and wool are sure to keep you comfortable at a winter wedding. A stylish pea coat is just the thing to wear between venues. Even the bride may opt for a longer, white coat to keep warm. If you’re Scottish and the men are wearing kilts even better! Kilt wool is pretty warm and cozy. Your date or the groomsmen don’t have to be of Highland descent to make plaid fabrics work for them at a winter wedding. A subtle plaid bowtie or tie will keep them styled and festive. Who doesn’t love faux fur? 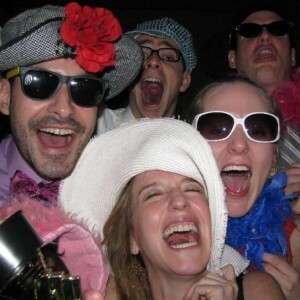 Winter weddings are a fantastic way to wear that muff or coat that’s been sitting in the back of your closet. You can dress it up all you want without looking ridiculous or overheat. The shrug doesn’t have to be faux fur, you can opt for a velvet in a nice plum or pine shade as well. No matter what you choose to wear to a winter wedding it’s sure to be fun to come up with an outfit you already have in your closet! And who doesn’t love the sparkle and glitz of a snowy event?